This guide provides information on the broad topic of academic integrity. University of Arkansas policies and procedures will be emphasized. 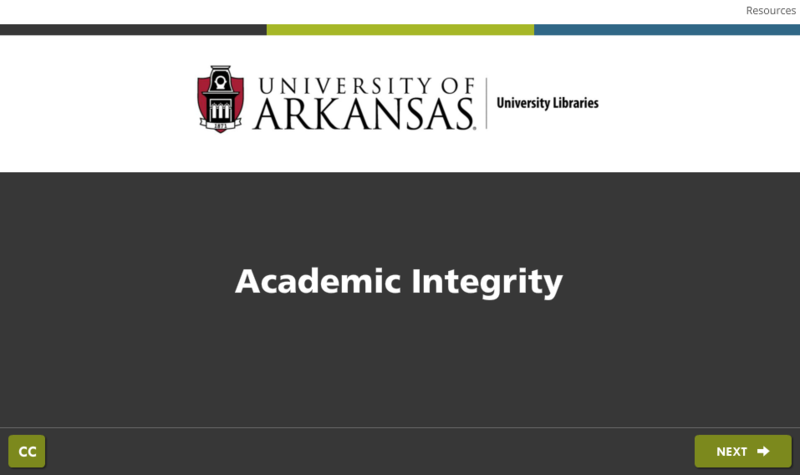 Your Libraries offer a number of resources to help you cite as you write, avoid plagiarism, and abide by the U of A Academic Integrity Policies. Drop in on one our open sessions to learn about collecting and managing citations and references. "It is the responsibility of all University students to understand the methods of proper attribution and to apply those principles in all materials submitted." This site provides links to campus policies as well as tips for students and instructors.